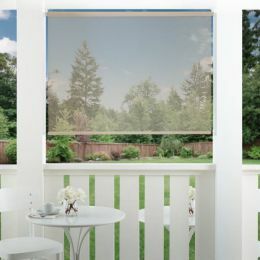 Outdoor solar shades are the ideal addition to your patio or outdoor space. 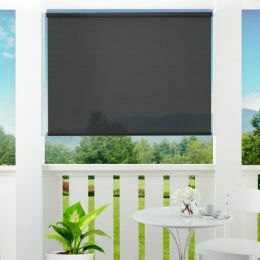 These exterior blinds will keep your outdoor space comfortable while also blocking out harmful UV rays – protecting you, as well as your furniture (from sun damage and fading). 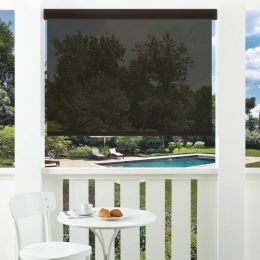 Patio solar shades also reduce glare, so that you can watch TV or use your computer, tablet or phone on the patio without light being reflected into your eyes. 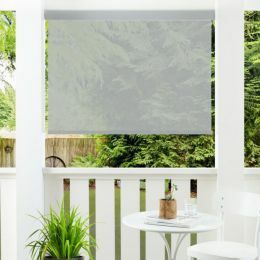 Our outdoor shades are manufactured from top quality sun control material, and are durable and rust proof, so that you can enjoy these shades for a long time. We offer openness levels ranging from 1% (lowest level of light coming through) to 15% (highest level of light coming through), so you can choose the ideal openness for your environment. The higher the level of openness, the more you also maintain your view through the shade. 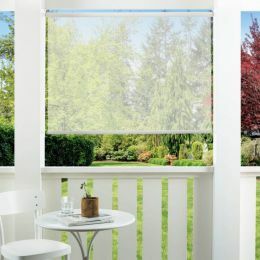 Many of our outdoor sun shades have the option of a cordless lift system – not only stylish, but also the safest window covering solution for any home with kids and pets.